Introduction When it's the hunger for building web development solutions, Drupal suits to the palate of innumerable developers worldwide. Its mouth-watering features vary from supporting multilingual content publishing that too with speed and precision, adhering to the contemporary content style, format, and design to offering complete layout configuration control of the frontend. Letâ&#x20AC;&#x2122;s discuss some of the most important benefits that make Drupal worth considering while building your CMS platforms. 1. Helps Build Scalable Digital Platforms Being an open-source CMS framework, the source code for Drupal is publicly available. Clients can use the same source code to build and maintain multiple web platforms. 2. Stable and Reliable Drupal has a history. It has for long been trusted by companies and institutions worldwide. It can be downloaded free of cost and can be modified or used as per the specific business requirements. 3. Offers an Integrated Platform Drupal development services are in demand as it supports the multifarious content format, style, designs and is best to converge photographs, audio, video, and other contemporary content on a single platform. Right from content publishing to template profiling, clients can use the CMS as they deem fit to be. 4. Support Dynamic Content Publishing Drupal is one of the best CMS frameworks for them. With a single sign-on, it enables the clients to publish, edit, integrate, manage, and modify different content including blogs, poll and survey results, blogs, news, articles, images, videos, and more with super fast speed and precision. 5. 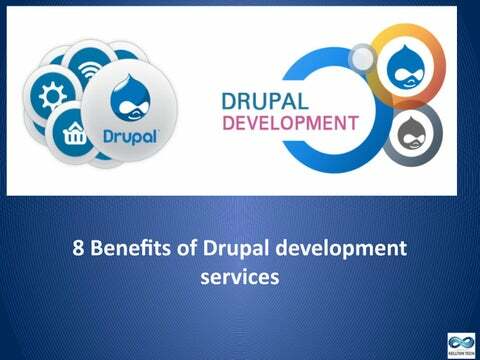 Boosts User Experiences Drupal helps organizations stand tall to the customerâ&#x20AC;&#x2122;s expectations. 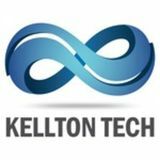 It helps clients build a cross-functional, cross-platform content repository the supports mobile apps and other compatible electronic devices and helps customers gain maximum satisfaction. 6. Rapid Deployment and Content Generation Developers can integrate any new features and generate specific content across platforms. 7. Helps Build CMS with Do It Yourself Approach A CMS built on Drupal allows you to perform tasks and functions with a Do It Yourself (DIY) approach. In other words, it means complete freedom from the dependency on coders and developers. 8. Real-Time Reporting Offering real-time reporting, the Drupal CMS accelerates the speed of tasks and functions. The framework stores, streamlines, and manages the content to provide cross-site access to the users.